While the term “soundscapes” has been perhaps a little overused lately, it is the term that best describes Kurt Anderson’s music. Indeed, it’s the term he chooses himself to describe it. Drawing on influences that include Robert Fripp and Fred Frith, Anderson paints his soundscapes with only guitar and treatments. Mostly improvised, Anderson’s explorations range from the lush and dreamy to the cool and minimalistic. Although he’s a solo guitarist, he rarely uses his instrument in the traditional “solo” sense. He uses it instead to construct impressionistic sonic scenery that touches upon a wide array of emotions: wonder, sadness, fear, and a peaceful kind of joy. 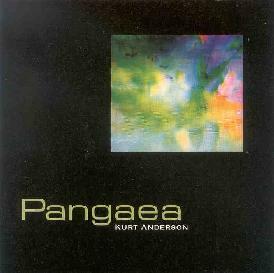 Pangaea is not really a collection of songs. It’s a collection of emotions and images rendered in sound.